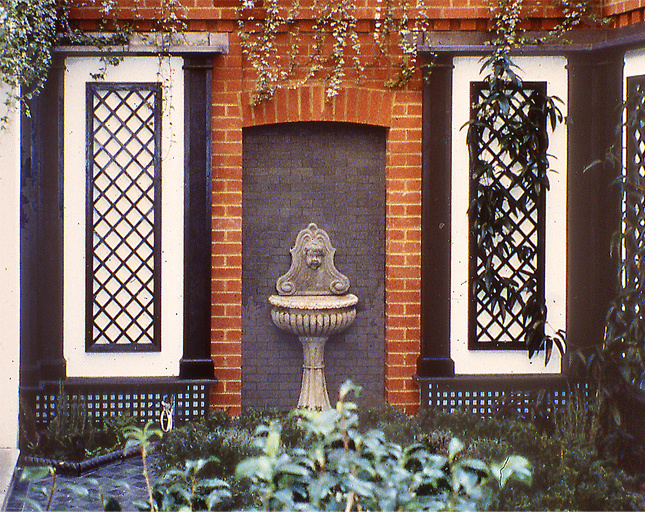 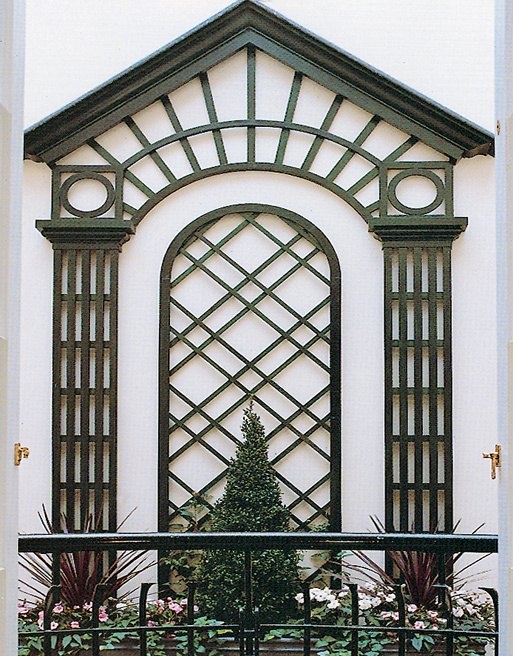 Internal trellis can be treated differently from external trellis. 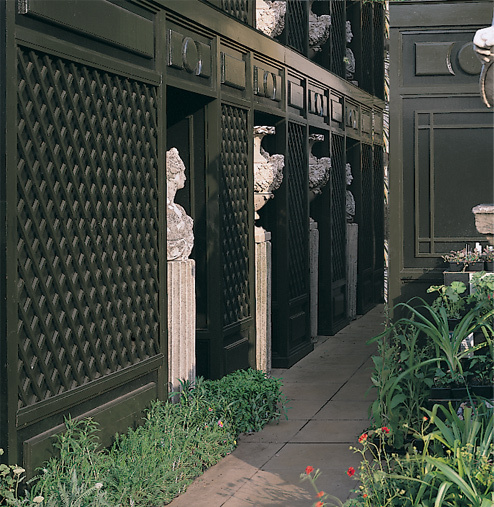 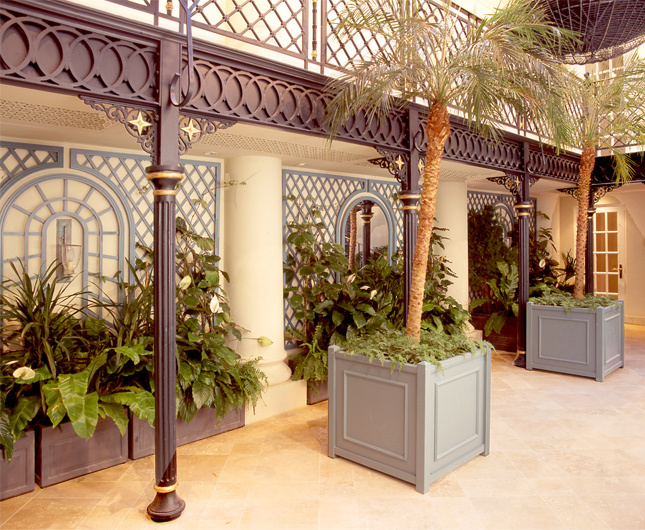 It is not necessarily erected for the purpose of supporting plants, and because it does not have to contend with weathering, it can be made finer and so finished to internal joinery standard. 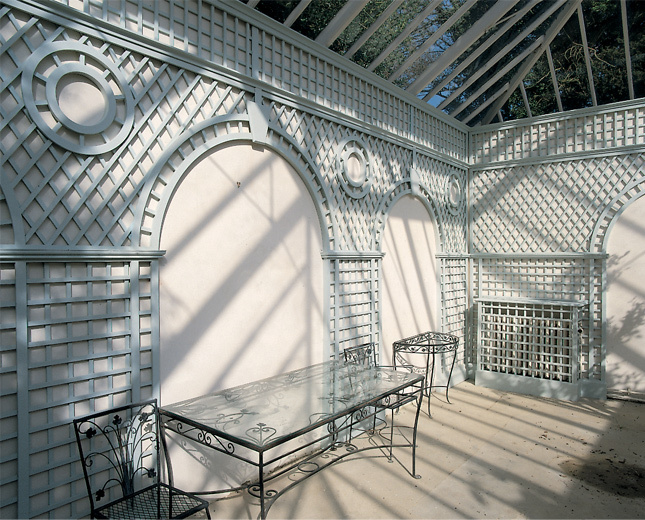 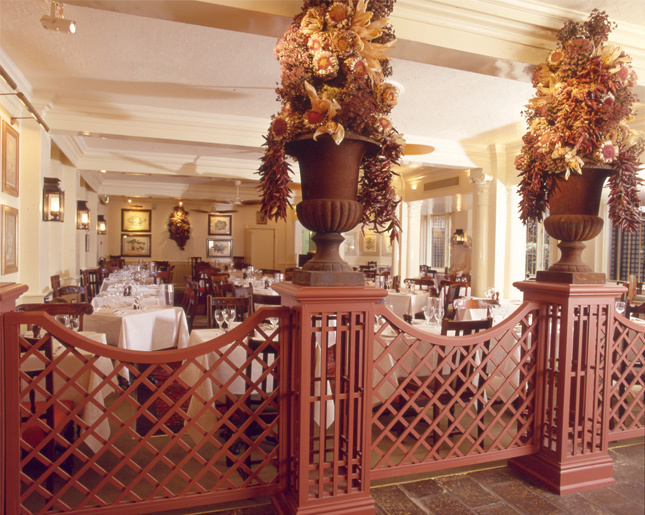 In France trellis is traditionally used in interiors, sometimes to striking effect, in areas as diverse as conservatories and tearooms. 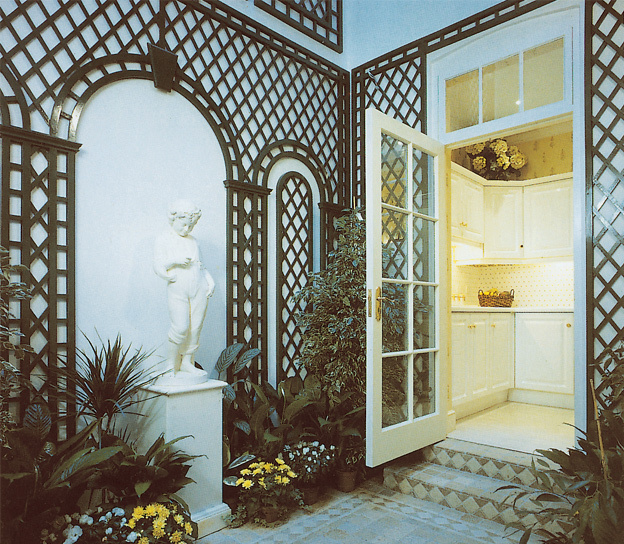 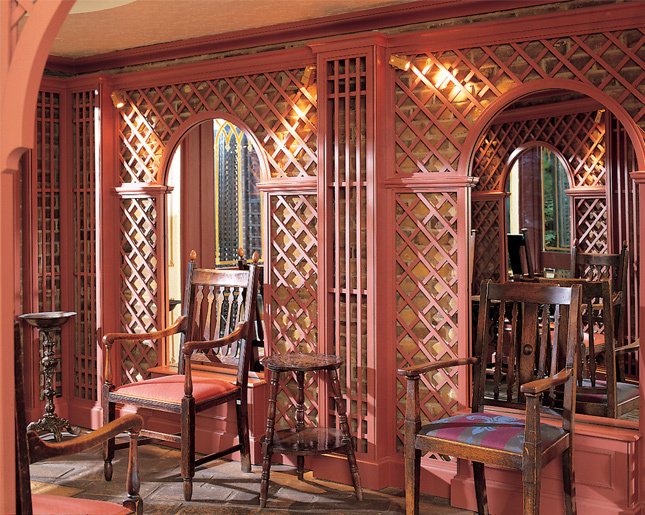 It is important that internal trellis is well designed for each individual space; the probability that an off the shelf trellis will fit a particular room is very unlikely. 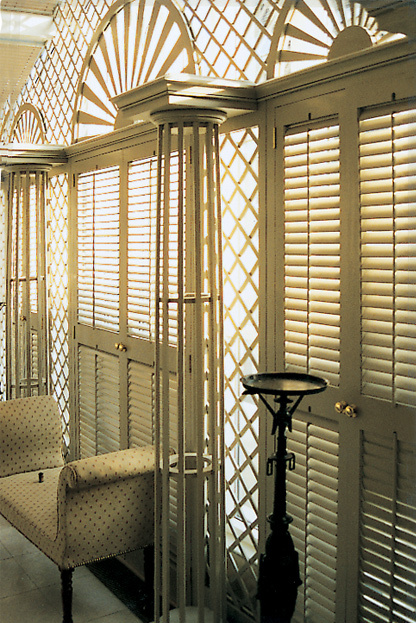 Lloyd Christie design and manufacture internal trellis schemes that enhance interiors, are sympathetic to the scale of a room, and echo and balance the fixed elements, such as windows and doors. 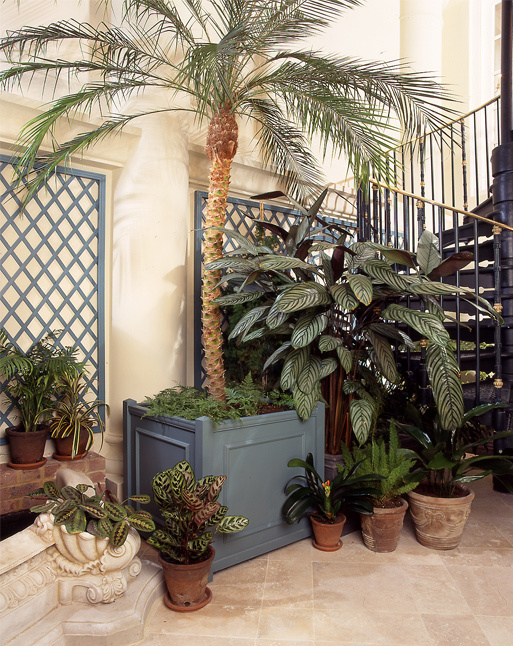 Even without plants growing over it a trellis in a conservatory gives a sense bringing the garden inside.